This review comes as a result of yours truly getting caught quite by surprise. Mike Zivkovic of Teresonic sent along his cables when I picked up the Teresonic Integrums to review. I used them to review the speakers and made a quick comparison with my Auditorium 23 cables and thought they were both very good, but I would use them because the speakers were designed with this wire. I never even tried the interconnects because they had locking connectors and I despise locking connectors, more on why later. Anyway, I got in the Clearaudio Anniversary table for review, and Teresonic’s special-order 2a3 amp. When I got it all dialed-in, I was blown away with the sound. 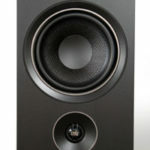 Then, I tried my Wavac EC300B and the sound was different, but equally good. At this point I’m not even thinking about cables, which I confess is the way I like it. I so wish cables didn’t make any difference, or we could find the way to make one that has no sound and then everyone could just make those. There I go dreaming, truth is cables make a big difference, as I was about to discover again. Warren Gregoire of WGA came over to update my Ikonoklast Model 3s loudspeaker to the new, 3 High Output version. So, as we were putting his speakers back in the system, he ask what wire I was using. I told him it was Teresonic’s Clarison. We listened and he was well pleased. Then after he left, I thought I should really put the Auditorium 23 speaker cables back in. I did and I was shocked at the difference. I figured they needed to play a while, but it didn’t matter: they just were not as good. I shot off an email to Mike and asked for the interconnects back. Now, I felt I really owed it to you and to Teresonic to do a full review, and that’s the story of why I, Jack Roberts, who hates doing cable reviews is doing this one. So let’s get started. On their website, Teresonic says it wanted to build a cable that sounded natural and they set out to design a cable that would have natural midrange warmth and be very articulate. A cable that had great detail without sounding spotlighted. They wanted a cable that allowed the lower octaves to suddenly appear. They also wanted a cable capable of a very realistic soundstage. They set out to do this, partially if not primarily, by designing their cable to be impervious to acoustical, electrical, and magnetic interference. So their cables are designed to offer what they describe as triple protection from electric fields, magnetic fields, and acoustic fields with a goal of making Teresonic Clarison zero-interference audio cables unique in the industry. They state that the cables are a result of many years of true scientific and comprehensive research to prevent any outside interference to impact the music signal in the cable. They also performed the same type of research to the study of signal transmission theory. The results of this research has led to Clarison interconnect and speaker cables. They also use what they refer to as “Full Cable Symmetry” and claim this creates “a quality of interconnection better than many ‘balanced cables’. I have no way in my system of verifying this, but I can tell you they sound very good. All their cables are designed with extra low loss transfer characteristic and very high signal transfer speed as well as high interference rejection. 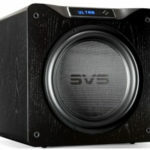 They state a signal-to-noise ratio better than 110 dB and an excellent damping factor of better than 100. Each Clarison speaker cable is handcrafted using an outside PVC insulating cover, a protective cover of elastic spiral ferromagnetic material (steel with carbon), an inside polyetilene-polyurethane insulating material, and twisted OFHC pure copper wires. For connectors, they use WBT’s 0660/0680Cu fully insulated sandwich spades, high current spade lugs with elastomeric shock absorber for progressive contact pressure to eliminate structure and airborne noise and magnetostriction. These pure oxygen free copper contacts are machined from a single piece of copper alloy, they are 58% pure E-Cu, with 3-layer 24k supra gold plating. Likewise, the interconnect connectors for the Clarison interconnect cables are RCA type WBT 0144. Ultra-fine machining and a unique plating process with final plating of 24k gold grants smooth operation of the WBT 0144. They are machined from a single piece of copper alloy of 58% pure E-Cu and feature 3-layer supra gold plating. The Clarison interconnects also have the same outside PVC insulating cover, plus two protective coverings of the elastic spiral ferromagnet. They have two identical inside interconnect blocks; comprised of a Teflon exterior, copper shielding screen, and a set of silver plated litz conductors in the center. Inside, they use “air” insulating material; and “fleet” cable with a set of litz twisted wires with PVC insulation that divides the cable into two parts that act as an electrical screen, minimizing triboelectrical effects between the two signal blocks. The design goals listed above are quite lofty, so how did they do at accomplishing them? First, they said they wanted a cable that would have natural midrange warmth and be very articulate. Well, I would say that without a doubt these are very articulate cables. I would also say they are quite natural sounding. While they never add any cold or analytical sound to the music; I would have never thought of calling them warm and I mean that as a compliment. I would say they add no warmth of their own, but they do allow the warmth of the music to come through when it is on the recording. Next, they said the cable should have excellent detail without sounded spotlighted. I think in this area they scored a huge success. In fact, I could easily use those exact words to describe these cables. They are as detailed as the Nordost Valhallas and as musical as the Auditorium 23 cables. This is a wonderful combination and you get it from the quick, but never overly tight deep bass all the way up the highest frequencies. Next, they were looking for a cable that allowed the lower octaves to suddenly appear. I guess by this they meant natural dynamics and slam. Here some comparisons may help. I have found Nordost Valhalla and Virtual Dynamic’s cable both are great when you need to tighten up the bass of a system, but I felt that Audience au24 and the Auditorium 23 cables let you hear much more of the air and decay of bass instruments. Well, again the Clarison cables let you have your cake and eat it too, since they combined both of these qualities without sacrificing the other’s strengths. The last design goal Teresonic stated was they wanted a cable capable of a very realistic soundstage. Well, both the Nordost Valhalla and the Virtual Dynamic cables will give you a little more width and depth. On the other hand, the Clarison cables give you a more cohesive soundstage and let you hear much more of the air and size of the recording venue. If I had to sum up the Clarison cables in one word, it would be SOLIDITY. I would say they allow my system to sound more solid and fundamentally more correct than I had heard it before. If that doesn’t translate for you, think about how much more solid live music sounds when you hear it close-up in a good acoustical environment. My system had more of that solidity with the Clarison cables in the system than with any other wire I have used. Not only are they solid-sounding, they are also very transparent. Add to this the fact that I also find the Clarison cables to be really open sounding and very dynamic from top to bottom, and you have a cable that helps my system to meet most of my desires for an audio system. 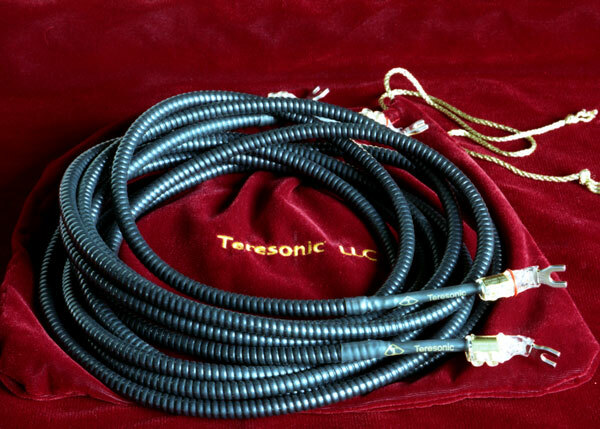 Another word I would use to describe the Teresonic Clarison cables would be EXPANSIVE. It is so musically enjoyable, this expansive feeling of space they allowed my system to have. This sense of space is also apparent in the way you hear the air around a singer or the decay in a hall. The last descriptive I want to use on the Clarison is BALANCED. They have such correct and beautiful tone, yet they are so detailed and resolving. 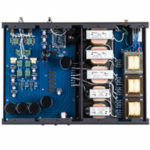 No cables I have had in my system have the Teresonic’s combination of harmonic accuracy, tonal neutrality, and dynamics. As an added bonus, they let you hear layers of textural definition better than the Audience au24, and as well as the Auditorium 23 speaker cable. I found the sound very addictive, and one I missed very much when I took them out of my system. I used the speaker wire with Ikonoklast, B&W, or Teresonic’s own speakers. The interconnects were used between the Shindo Masseto, the Wavac EC300B or the Teresonic 2a3 amp. With any of those combinations they allowed the music to sound faster, quicker, and still have less of an artificial etch to the sound. They also let me hear deeper into the soundstage, while at the same time imparting great scale and size in width, depth, and height. Imaging was rock solid, part of that solidity I refer to earlier. I got out of the ‘cable of the month club’ when the Audience au24 cables came out sometime in 2002. I had been shocked when, in the end, I preferred them to my much-admired Nordost Valhalla. There had been many cables that claimed to be better than Valhalla, but none had really been close in my comparisons. When I found one that I did like better at such a great price, I decided I was through with comparing cables. It is such a hassle, after all. I had all Audience cables until I got into Shindo gear and tried their interconnects, and the Auditorium 23 speaker cables. As I shared in the intro, I had no intention of reviewing the Teresonic Clarison cables, but could not keep them a secret in the end. Since I know it is helpful to make comparisons, I will. The interesting thing is the Teresonic Clarison cables do not fall between the Nordost Valhalla and the Auditorium 23 cables. No, they exhibit the best aspects of both cables and manage to avoid most of their weaknesses. They are as neutral, clean, ultra detailed, and fast as the Valhallas. They are as intrinsically musical and organic as the Auditorium 23s. They will not warm up a system, though, and they will not correct a system that has too much warmth in the mid-bass. The Clarison cables are way too neutral to be use as tone controls. I’ve tried to ask myself if they are as organic sounding as the Shindo silver interconnects. I’m not sure. They are so much more transparent that I find it hard to say, but I can say they are organic-enough-sounding to please me, “not an easy task,” my editor says. They also let me hear the layers of the music just as well as the Shindo silver cables. As I come to the end of this review, there is one thing I realize I have not shared. For the last couple of years, I have had trouble with certain times of the day getting a sound, though thankfully an-ever-so-faint sound, like those your phone makes when you accidently call a fax. I had never been able to figure out what caused it and thankfully I could never hear it when playing music. I never get this sound with the Teresonic Clarison cables, just thought you might like to know. I still hate locking RCA connectors. Why? Well they are a hassle to use. It’s easy to over-tighten them, and then they sound anywhere from slightly bright to downright hard. Then, I find them aggravatingly hard to get off in tight quarters. I also know a lot of people who think a tighter grip is better and they just can’t resist over-tightening them. Well, just listen and you will know it’s not. I know this is a nick pick but surely there is some type of connector that sounds just as good and that’s not such a pain to use. The Clarison speaker cables cost $1,285 for a set of 10 footers. Other lengths are available as special orders. The interconnects are $585 for a 3.3foot set. All Teresonic products carry a full 30-day Satisfaction Guarantee. A used pair of Valhalla interconnect seems to be going for over $2000 on Audiogon and speaker cables this length for around $4,000. This makes the Clarison cables a real bargain, maybe a downright steal. So are the Audience, Auditorium 23 and for that matter, the Shindo interconnects. 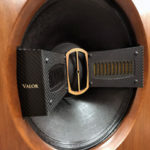 The difference is that with the Teresonic Clarisons, you get the speed, slam, and transparency of the Valhalla along with the flow, musicality, layering, and tonal correctness you get with the Auditorium 23 speaker cable and Shindo interconnect combination. I just have one last thing to say. How on earth have these cables been kept such a secret? A quick search on Google and I could only find eight entries, so I made the assumption I had misspelled the words, but I had not. A check on Audio Asylum only came up with nada. I mean not one single mention of the cables. How could this be? So here’s my last word about them. If you can afford them, get on the phone and call Mike. All you have to lose is a little money for the shipping, and I doubt you’ll regret that. I have not heard any of the five figure cables now on the market and don’t plan to, but I bet the Teresonic Clarison cables won’t be embarrassed even if the five figured cables are better.